Saints Peter and Paul Church, at 666 Filbert Street directly across from Washington Square, was consecrated in 1924. Known as La cattedrale d’Italia ovest, or The Italian Cathedral of the West, Charles Fantoni and John Porporato’s neo-Gothic design is richly ornamented in Romanesque style and features twin spires that soar 191 feet high. 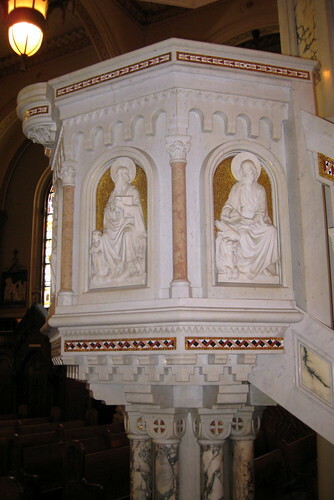 The parish school is unusually situated atop the church itself around its clerestory level and is accessible from stairways under each of its twin towers. After their civil ceremony in 1954, Marilyn Monroe and Joe DiMaggio returned for photographs on the steps Saints Peter and Paul Church. 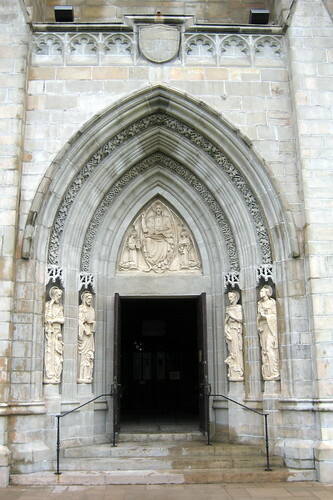 DiMaggio had previously married Dorothy Arnold here on November 19, 1939, but later civilly divorced and therefore could not be remarried in a Catholic church. His funeral was held here on March 11, 1999. Cecil B. DeMille filmed the workers working on the foundations of the church and used the scene for to show the building of the Temple of Jerusalem in his 1923 film, The Ten Commandments. Director Don Siegel features the Church prominently in scenes from the 1971 movie Dirty Harry. 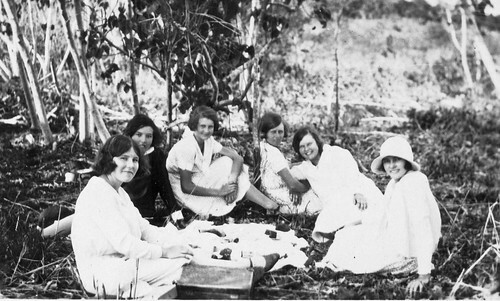 L to R: Ethel Evans, Gladys Wilson, Unknown, Gertrude Drinkall, Grace Svensson, Thelma Drinkall. No record of where it is. At The Beach … 1932 (a guess). L to R: Unknown, Ray Howard, Keith Naumann & Dorothy Savidge, Reg Naumann. Front: Ivy Howard, Unknown, Jack Knights, Gertrude Drinkall, Dulcie Lievesley, Unknown, Connie McKenzie. Possibly at Bargara Esplanade. Posted by admin. Categories: Church Fellowship. 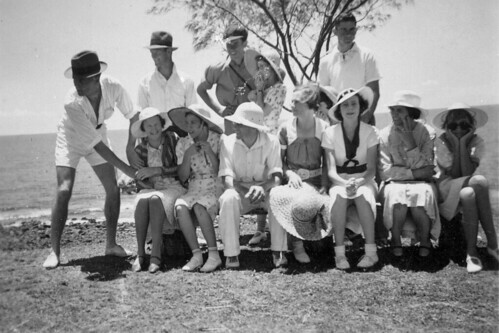 Tags: 1932, Beach, guess.. Comments Off on At The Beach … 1932 (a guess). 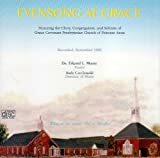 Music program from Grace Covenant Presbyterian Church of Princess Anne, Virginia Beach, VA recorded in Nov. ’99. The First Baptist Church of West Palm Beach, at 1101 South Flagler Drive, was built between 1963-1965 to the design of Ivey & Crook and Maurice E. Holley, Sr. 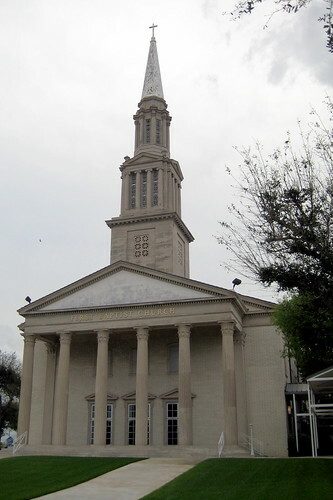 The Episcopal Church of Bethesda-by-the-Sea dates back to 1889, when the original building on the eastern shore of Lake Worth was the first Protestant church building in southeast Florida. The present edifice was erected in 1926 as a monument to international friendship. I found this hilarious. 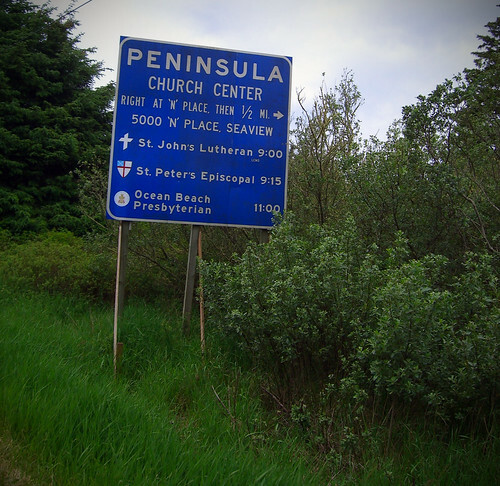 They had put up a sign of all of the churches and their scheduled services. Welcome to America, it’s pretty different from Seattle.